ASU spirit, pride and traditions start with living on campus. Living at ASU promotes creative connections and innovation both inside and outside of the classroom while providing a supportive, close-knit environment designed to set you up for success. When you live on campus, you should take advantage of the opportunities that are right outside your door. 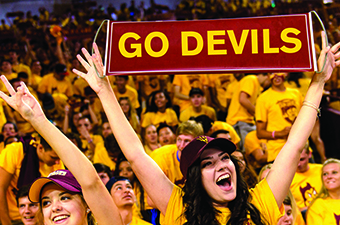 Immerse yourself in Sun Devil spirit, pride and tradition. Enjoy the convenience of all-inclusive living, while being steps away from academic buildings, student services and campus dining locations. Discover the Sun Devil way of life and make the most of your time at ASU. Inside ASU Podcast: What’s it like to live on campus at ASU? When Emily started at ASU, she was a little nervous about living on campus and having a roommate she never met before. Find out how the experience ended up being for her, and learn why Ben appreciates living on campus every time he needs a stapler. Living on campus will bring the Sun Devil experience right to your door. 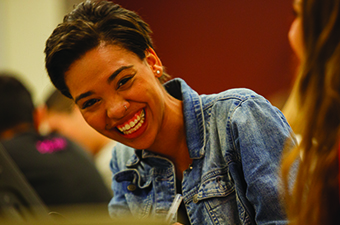 You’ll be able to explore a dynamic academic experience that goes well beyond the classroom. 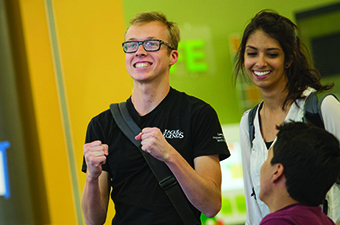 When you move into your residence hall, you’ll want to get to know your community assistant. CAs are students who serve to help turn your floor into a community, as well as act as a point of contact to help you with any issues you may be having. In this episode, Emily and Ben talk with Molly Bishop, a CA who explains her role and offers advice as you begin your ASU chapter. If you’ll be living on campus at ASU, you might be wondering — what am I supposed to bring? You don’t want to bring too much, but you certainly don’t want to bring too little, either. Listen to Emily and Ben share their advice about the best things to pack. And find out Ben’s pro tip about bringing your cold-weather clothes to ASU. Take your next step towards success.